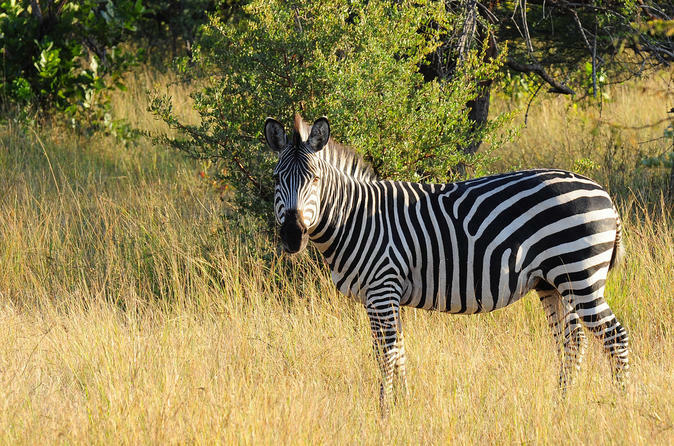 Explore the stunning Stanley and Livingstone Private Game Reserve which borders the Zambezi National Park – on a 3.5-hour game drive! After leaving Victoria Falls town, travel just 10-minutes to discover this area of captivating African beauty. The Stanley and Livingstone Private Game Reserve is famous for its protection of the Black Rhino and is the only property in the area where it's possible to see all of the Big Five. Choose from a morning or afternoon drive, and look out for herds of elephants, rhinos, gazelles and more, from the comfort of an open-roof 4x4.